The International Network for Economic, Social and Cultural Rights (ESCR-Net) is a member-based network that connects NGO’s, social movements and advocates across more than 75 countries to build a global movement to make human rights and social justice a reality for all. ESCR-Net has used CiviCRM to improve the network’s communication with members which has resulted in strengthening their organization at the global level. Groups, Smartgroups and Tags have been key to successfully managing contacts in the way they were hoping. ESCR-Net did not have a comprehensive system of contact management for their data. They were using outdated Excel spreadsheets that contained some of their contacts, whereas other contacts were stored in staff’s email address books, in yahoo groups or on various computers. They needed a centralized data system in order to streamline communication outreach with members. In addition, the organization was required to update their website when their original website platform was sunsetted. They chose to migrate to Drupal because it would integrate well with CiviCRM. The staff was not prepared for the time commitment required to get CiviCRM up and running. Like many organizations, they were busy working on other urgent projects and it was extremely difficult to launch a website, coordinate a major international meeting and get started with CiviCRM all at the same time. So during the implementation of CiviCRM, they found they could not find the time to effectively clean their data for import. In retrospect, ESCR-Net realized they should have adequately budgeted staff (or intern) time to effectively prepare the data and they should have chosen a less intensive period in their organization’s schedule to start the implementation.
" In order to keep a network strong, members need to be actively engaged, working together and sharing information. 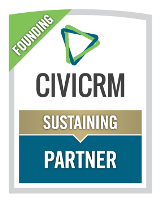 A big part of my job is reaching out to existing members and making sure they are involved and the communication capabilities in CiviCRM have helped to invigorate the participation of our members."